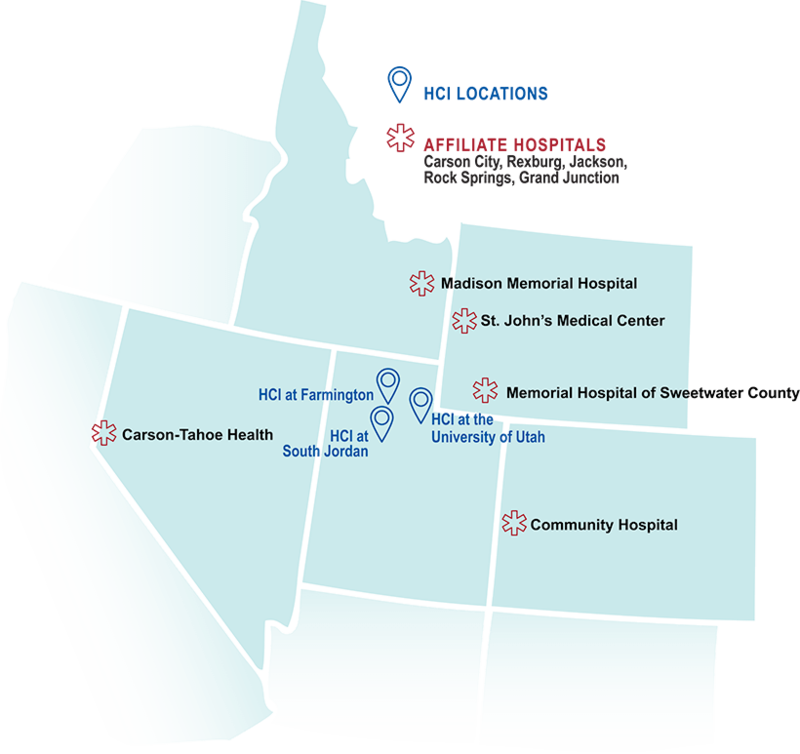 Huntsman Cancer Institute (HCI) at the University of Utah extends comprehensive cancer care through the Mountain West with its affiliate hospitals. These hospitals work with HCI experts to give world-class cancer care to patients near their homes. HCI affiliate hospitals provide specialty cancer services to their patients. For some procedures, patients travel to Salt Lake City. Then they get follow-up care at the affiliate hospital near their home. Contact the affiliate in your area to learn more about available services and specialties.